Input text: the huge head is three feet above the very huge silver sphere. the ground is shiny. a magenta light is in front of the sphere. the shiny water tower is 100 feet behind the sphere. it is 40 feet left of the sphere. the 35 foot tall raven is 30 feet right of the tower. it is facing southwest. "On a night quite un-enchanting, I was listening to the ranting, of the man I catch mice for. 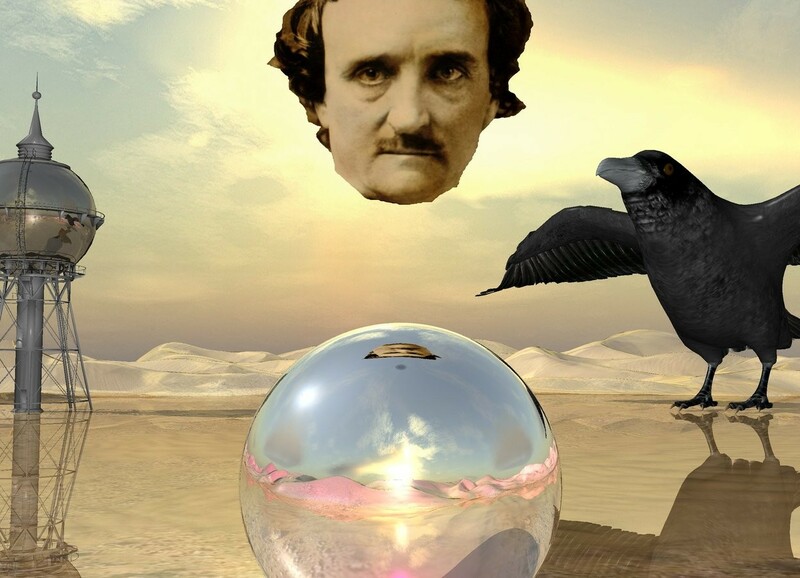 In a tone I found quite craven, Poe was talking to a raven, perched upon the chamber door..."